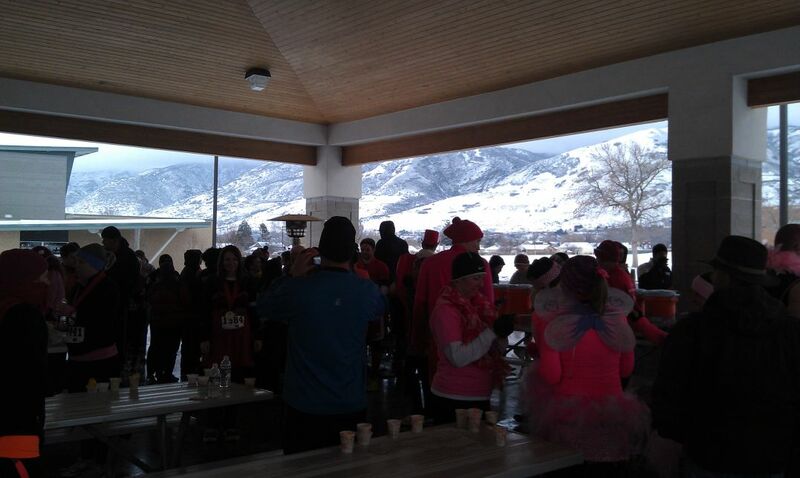 Today I ran the South Davis (County) Recreation Center Sweethearts 5K in Bountiful Utah. I wasn't sure I was going to make it to this race on account that they were predicting snow and wind all Friday night and early into Saturday (it looks like they missed calculated by 24 hours). I had preregistered for the race about a week ago but hearing the dire weather predictions made me wonder if I was going to make it up there. Suffice to say, the weather was NOT an issue. In short, this race was bittersweet for me. It was my first 5K since last summer, in which I ran a 22:07. I figured I could match that or even better it, given that my training has been rock solid. However, the wind left my sails, so to speak, after the first mile. I ran the first mile in just under 7 minutes and felt good. By mile 2 I had hit a 14:45 and at the finish I just about died when I saw 23:26 on the time. 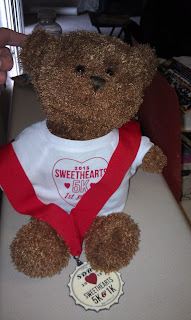 I haven't run that slow of a 5K without extenuating circumstances -- well, in forever. Granted the second and third mile seem to have a very slow grind up hill. Nothing huge, but definitely a 1% - 2% grade. I felt like I was using my arms more than my legs in climbing that hill. The race had an outstanding turnout, given that there were several other races going on today. Parking was a zoo and many people were dressed in costume. 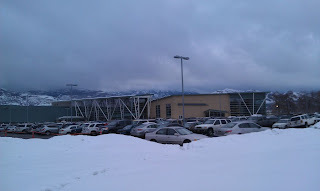 The race was held at the South Davis Recreation Center. This building is absolute huge and looks like a really nice gym. If I lived in Bountiful this is one place I would definitely want to hang out at. 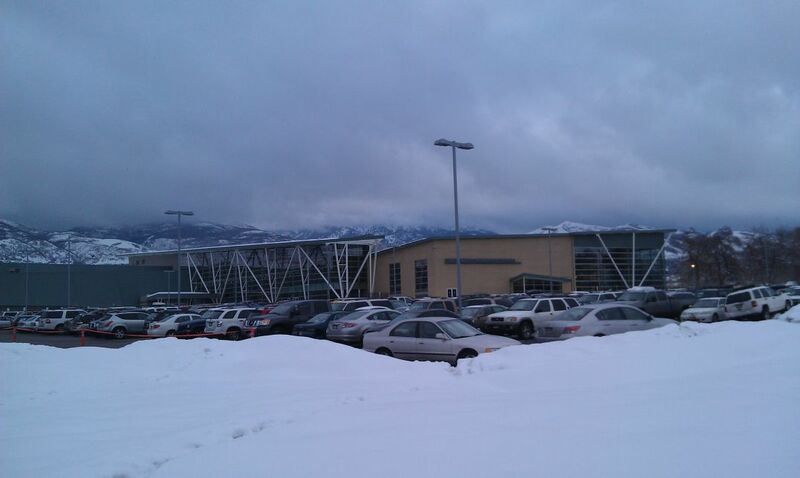 They had an ice rink, basketball court, swimming pool, weight room, indoor track and a lot more. If you are into fitness, that appears to be the place to be. 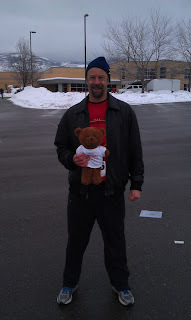 On the plus side, I did finish first in my age group and won a pretty nice teddy bear. I am not sure what I am going to do with this bear, but it is one of the cooler pieces of swag that I've gotten. Also, every one who finished the race got a finisher's medal that was on par with a mid-level half marathon. Overall, it looks like I have work to do on my training. I can easily run 10 - 15 miles at an easy clip, but my speed is completely gone. If I want to be competitive I am going to have to drop a few pounds and really work on getting my speed back.